Poachers stormed into a rhino orphanage in South Africa earlier this week and killed two young rhinos, as well as brutally attacking staff and sexually assaulting one woman. 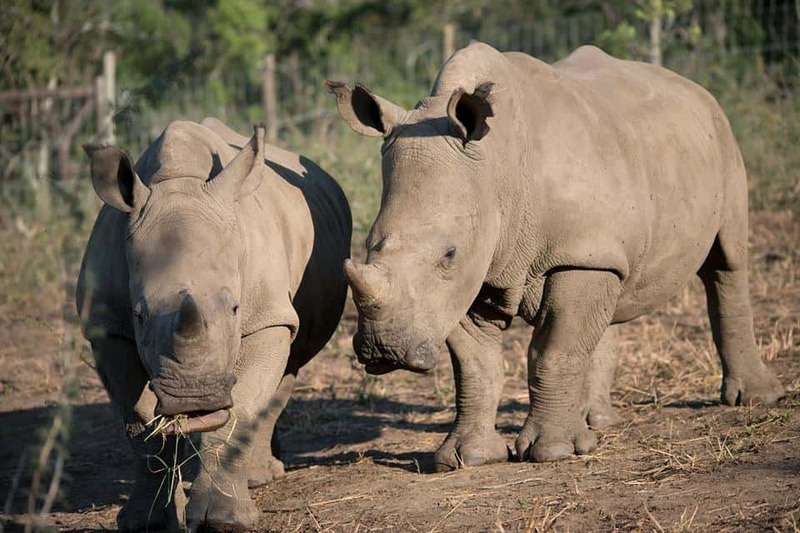 A gang of poachers took staff hostage at the Fundimvelo Thula Thula Rhino Orphanage in KwaZulu-Natal on Monday night, and hacked off the horns of two 18 month old white rhinos named Impi and Gugu. Gugu was killed instantly during the attack, but Impi survived the brutality. However, his injuries were so bad that he had to be put down the next morning. According to local media, the rhinos were due to have their horns safely removed next week in an attempt to protect them from poachers before they were released back into the wild, but evidently this came too late. Thula Thula’s Karen Trendler told journalist Bonné de Bod in a Facebook Live video, “Is this another stage? That’s what we’ve been asking. There has been an increasing desensitisation, there has been an escalation in the violence in the poaching and the mutilation.” The rhinos at this orphanage had been taken there after their mothers were killed by poachers. 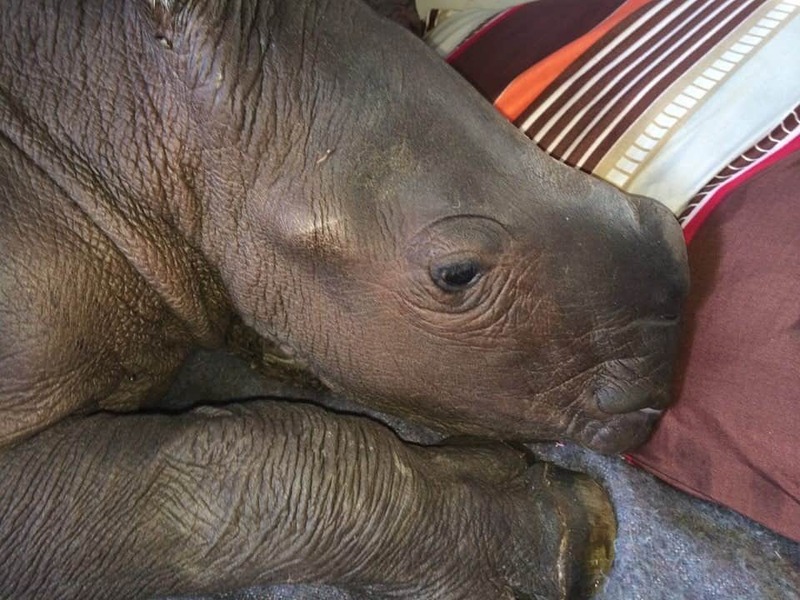 In the wild, a rhino calf will often stand by its mother for days after poachers have killed her, with no food or water, until the calf is rescued by conservationists like those at Thula Thula. 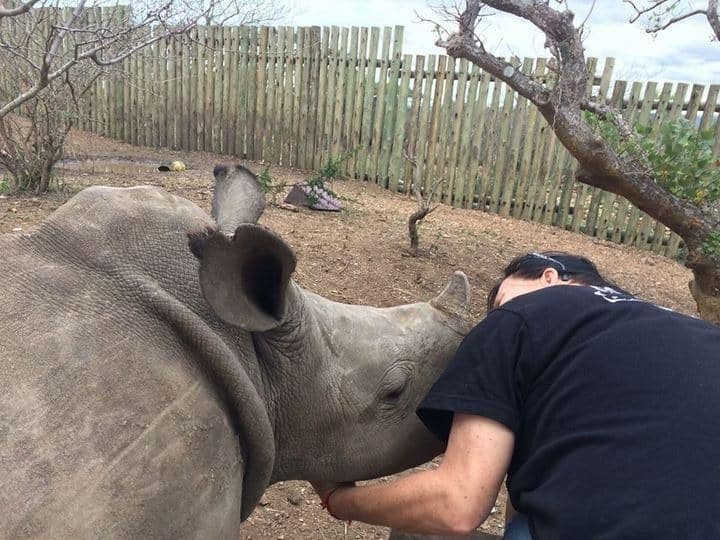 Since the horrific attack, Thula Thula has received huge amounts of worldwide support, both through social media and those directly involved with conservation. This includes donations of over R400,000 ($31,242) to help them rebuild everything that the poachers destroyed, which includes all of the orphanage’s security cameras, as well as the care needed to keep all of the animals at the orphanage safe. Local reports claim that two suspects were arrested who are well known poachers from a notorious gang in the area, and were also found with a heavy-calibre hunting rifle and several rounds of ammunition. Support continues at Thula Thula as all staff members try to recover and rebuild after the attack whilst making plans for heightened security measures in the future.